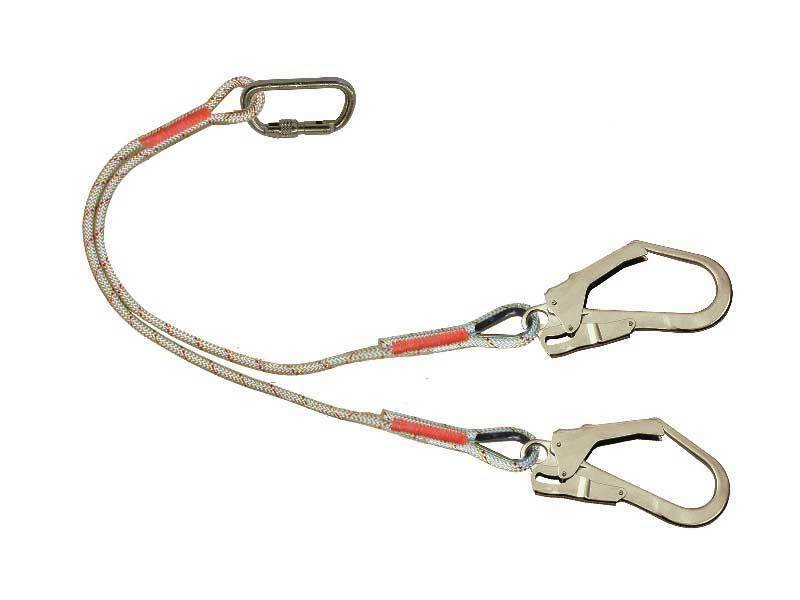 The AL432 twin tail lanyard is made of 10.5mm white polymide rope. It also has yellow and red wear indicators. This lanyard has three karabiners. 1 AJ501 which is a screwgate karabiner and 2 AJ595 which are snap lock scaffold karabiners. The system breaking stregth is >2200 daN.